We share a collection of our favourite products from the world of lighting design. Danish lighting manufacturer, Louis Poulsen, was born out of the Scandinavian design tradition of form following fuction. Designed to reflect and support the rhythm of natural light, every detail in one of Louis Poulsen’s pieces has a purpose; the company believe in craftsmanship and creating quality lighting products that are pleasing to the eye – and the light. 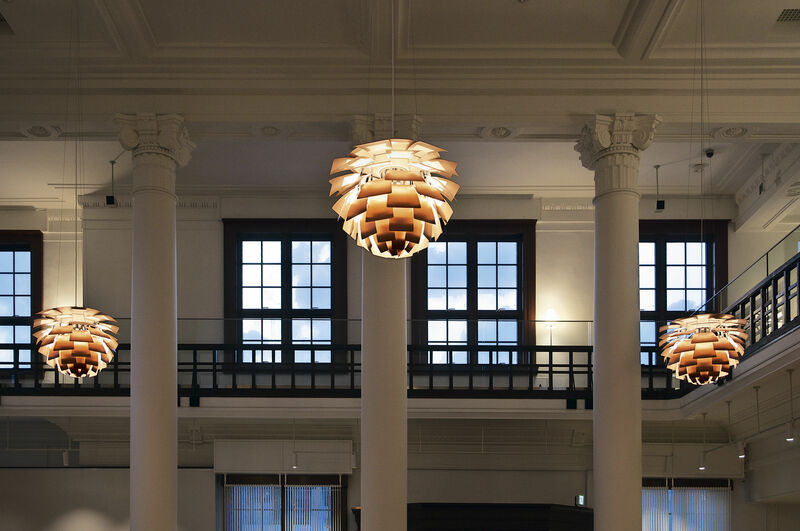 An international design classic, the PH Artichoke is one of Louis Poulsen’s most renowned lighting products – and this year, the design will be celebrating its 60th anniversary. Designed by Poul Henningsen in 1958, the PH Artichoke has 72 leaves, which are positioned to provide totally glare-free light from any angle. Creating a warm, ambient glow, to this day the fixture has been made with a copper finish – but to celebrate the anniversary, in 2018 Louis Poulsen are also offering the PH Artichoke in a new brushed brass edition. A lighting design company that creates products for the hospitality market, Chelsom are a small business with a major reach – including major projects with hotels such as The Mandarin Oriental and the Hilton Barcelona. The Icicle design was released as a part of Chelsom’s Edition 26 collection, earlier this year; over two years of in-house design by Robert and Will Chelsom were put into its creation. 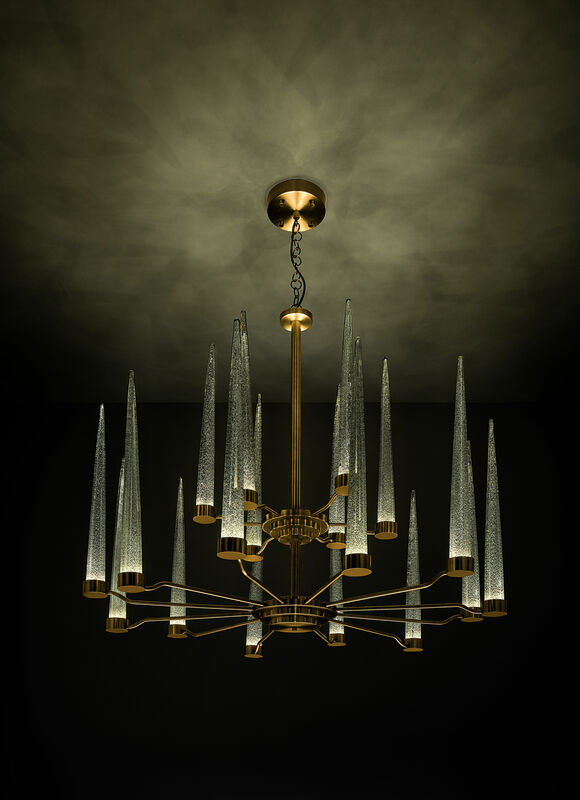 An astonishing ceiling piece made from English Brass and Silver speckled clear glass, the Icicle contains dimmable integral LED light sources within the base of the glass icicles. This light travels upwards, producing a warm, ambient glow whilst reflecting off the single specks within the handmade glass. Each icicle curves upwards slightly - some more than others - to create a layered feel. With a varying range, the Icicle can be purchased as a single unit or with multiple icicles attached. The designer of the Crystal Cluster is master glass artist, Jeff Zimmerman, who has spent his life studying the classical Venetian approach to glass blowing. 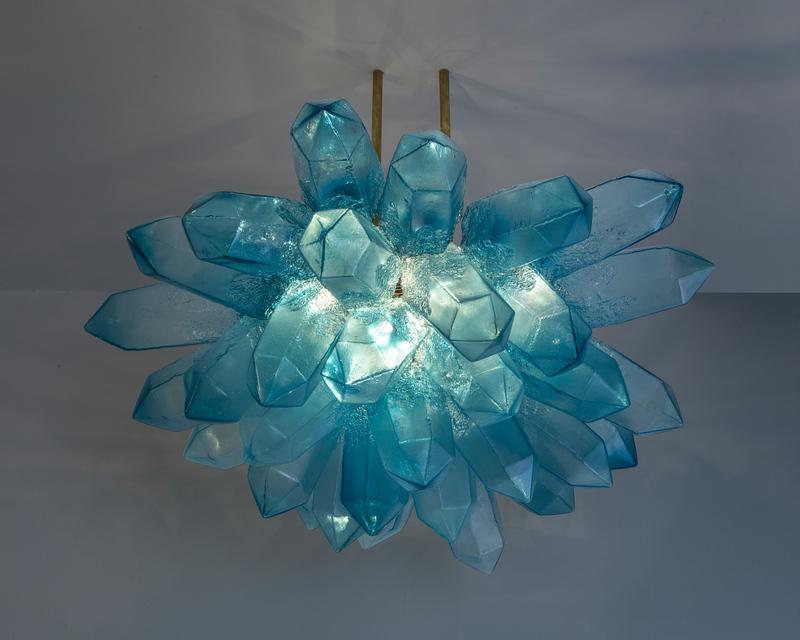 His work has exhibited in galleries and institutions internationally, with his European debut beginning on The Invisible Collection with an amazing lighting installation – including this Crystal Cluster. Zimmerman found inspiration for this piece after stumbling across a photo of the Cave of the Crystals, in Naica, Mexico. He began to collect minerals for as part of his research, making experimental sculptures, and this hand-blown piece mimics the forms of the crystals found in the Cave. 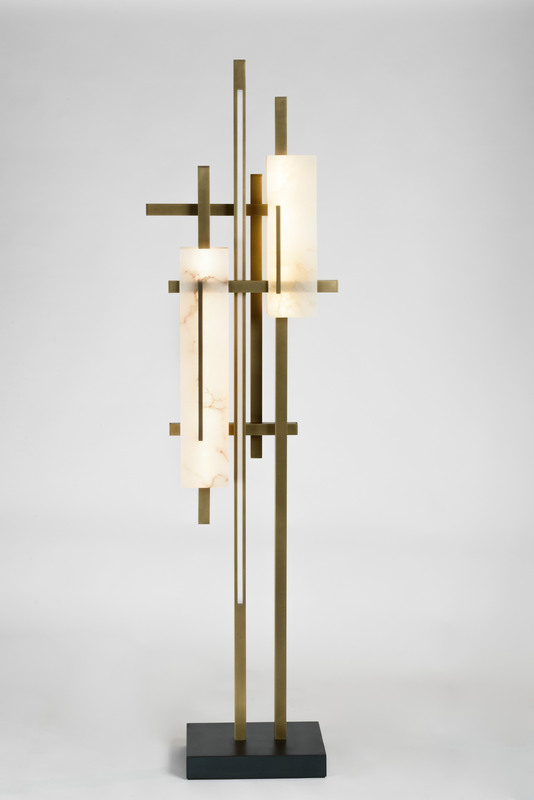 The unique lighting colour can be made to order on The Invisible Collection, in bespoke colours and dimensions. Specialising in high-end metal work, POUENAT is made up of a group of artisan craftsmen; the brand has been working with metals since 1880, with their studios remaining in Moulins, Allier. More recently, they began teaming up with renowned designers to create interior design pieces and decorative metal arrangements. For 2018, POUENAT introduced their latest distinct pieces by brilliant designers including Sybille de Margerie, François Champsaur and Isabelle Stanislas. Isabelle Stanislas is the creator of the Candlelight Reading Lamp; passionate about decorative interiors, Stanislas began creating lamps in 2013 as the defining features of her architecture. She uses historical elements for her pieces in a restricted palette of natural colours; the Candlelight Reading Lamp is one such piece, made with light bronze patinated brass, a satin varnish and gunmetal steel features.